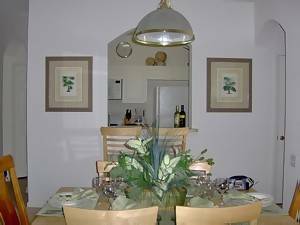 Our elegant and luxurious vacation condo rental is situated in the impressive 5 star Windsor Palms family resort, just four miles from Walt Disney World. There's easy access to the areas main routes, making the other central Florida attractions like Universal, Seaworld and International Drive, just minutes away. The resort boasts 24/7 gated security, and facilities include an Olympic size pool, seperate childrens pool and play area, and a jacuzzi. For the sporting there are floodlit tennis, basketball and sand volleyball courts, and if you just want to relax, there are picnic and BBQ facilities. Inside the clubhouse, you'll find a fitness suite and a 58 seater movie theatre - where YOU can choose the movies! There's also a games room including pool, table tennis, air-hockey and arcade games and video hire (small charge payable locally). For those needing internet access there's a business centre for over 18s (minimal charge), and access can be purchased, along with a host of groceries and toiletries at the poolside sundry shop. The Condo itself is on the ground floor - away from the main entrance, but within a couple of minutes stroll of all the onsite amenities. Inside you'll love the spacious feel, yet you'll discover everything you need to pamper you, whether your planning to stay for a couple of days, or a couple of months! And the air-conditioning will cool you on even the hottest Florida day. Master Bedroom: King size bed, cable TV, walk-in closet, complete with guest safe. En-suite bathroom. Bedroom Three: Twin beds, cable TV, Playstation 2, closet. Lounge/Diner: Dining suite, twin sofas (one with queen size metal action sofa sleeper), cable TV, DVD, VCR and HiFi. Kitchen/Utility: Fully equipped - large cooker, fridge/freezer, dishwasher, washer and tumble drier, plus plenty of storage space and everything you'll need for your home from home experience. Lanai: The screened area enjoys afternoon sunshine - why not relax and unwind after a long day at the parks! Our customer service before your arrival, is matched by the 24/7 availability of our management company, should you need them, during your stay. We understand how hard you’ve worked to earn your vacation. We know that when deciding on somewhere to stay, you want to relax in the knowledge that everything has been catered for. Well, start relaxing now, and imagine yourself just moments from all of the magic that central Florida has to offer. We look forward to welcoming you to our home on the doorstep of Disney. Kingsize, en-suite, walk in closet, in-house safe, cable TV. Queen-size, en-suite, with walk in closet and cable TV. A warm welcome awaits the little ones, from our special friends. A full dinner for eight, or maybe a quick snack before heading to the parks. Restaurants are just a few minutes away, but if you're dining in the kitchen's fully equipped. We have just returned from staying for two weeks at the house4themouse and have had a wonderful time. We chose this place due to its proximity to Disney. We met others who had been told their villa was close by, but in fact was more than 30++ minutes away. This is NOT the case with this condo; it is 15 minute drive from Disney (all easily signposted) and also just down the road from the condo is a supermarket, pharmacy and a few decent restaurants to eat at, perfect after a day at the parks. It also meant that it was close enough to come back to in the afternoon if we intended to return back to the parks for the evening parades / fireworks. We also opted for accommodation without a pool as we intended to spend a lot of the time at the parks and did not want to pay the extra premium as we were not sure how much use we would get from it. We were pleased with our decision as many of the pools with villas are quite small, better for a dip to cool down than anything else. However, we put our swimmers in the car and would arrive at Typhoon Lagoon or Blizzard Beach at 4-5pm (usually when everyone else is leaving) and fly down the waterslides or relax in the wave pool / lazy river. We did use the community pool once and it was fine and being used by other friendly families. It was good to know it was there. I found the clubhouse and security staff welcoming and I felt secure in the apartment. I have already commented to the owners about getting a few more different sized saucepans but this was a minor issue. I found the owners fantastic. Their response time was great and they were happy to help on all manner of questions from other places to visit in Florida to getting through immigration in the USA. Their information pack was well informed and their directions clear and concise. We did not bother even hiring a satellite navigation system at the car rental. I would highly recommend this place if you want to be close to Disney and have spacious reasonably priced accommodation. All of the positive comments are true! House4themouse is a nice, ground floor condo with two spacious bedrooms and another with twin beds. It was clean, comfortable and totally met our needs for a week long stay! 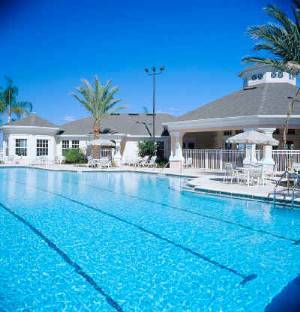 The gated community felt very safe, and is conveniently located to Disney, many restaurants and major shopping centers. We experienced some Wi-Fi and cell phone difficulties (Verizon) inside the condo, but modem may have needed to be reset. I would definitely consider staying here for future trips to Orlando! We have just returned from a wonderful 2 weeks staying at the House4theMouse! We were a party of 5 adults and 1 child and there was plenty of room and the whole condo was furnished to an extremely high standard! The air-conditioning units outside were very noisy but this didn't take away from a very relaxing and enjoyable stay! Close to all the theme parks but far enough to have a day round the resort's pool to recoup! Would definitely like to stay again! Thank you! Great condo in well kept, gated community in convenient location. Spacious accommodation with nearby parking. Owners great and responded quickly to any questions. Definitely beats a hotel any day. Deposit cheque returned swiftly. Great condo in a great location. Sure beats a hotel any day. We were a family of 2 adults with 3 kids and it was spacious. Owners are quick and courteous with answers to questions and have a well documented information package esp. good for first time renters and those who may not have been to Orlando. Highly recommended. The condo at Windsor Palms was fantastic. It was spacious, close to I4&192, and had all the comforts of being at home. The price was the best part! We would definitely stay here again when we come back to Florida. Lovely home!!! Super for the price!! !Great people to do business with. Responds to your questions in a timely fashion. Apartment was great; spacious, clean and very local for all Disney Trips! The pool was an added bonus for the children and the vital relax between visits to the parks. Would recommend. Great place to relax and enjoy sunny Florida. This condo's furnishing and decor exceed the 5 or 6 others that we have stayed in at Windsor Palms. Very comfortable living room furniture, new LCD HD TV with HD programming. Beds are comfortable and condo was very clean. Ray and Paula were great to work with and very responsive to emails, even when we were in the midst of our stay. Had small issue with DVD player, and it was replaced within 24 hours. Can't say enough good about our entire stay and experience! Our experience at House4the Mouse was fantastic. The condo was extremely clean, well appointed, and spacious enough to comfortably house our family of four. The close proximity to Disney and nearby amenities made for stress free days. To top it off, Ray and Paula were a pleasure to deal with - responsive, detailed, and very friendly. Thanks for helping to make our vacation a great one! Wonderful place to stay. So glad we chose a condo over a hotel. It was nice that we could do some meals there, saved some money. Very clean, spacious and clean. My kids loved the pool!! It was very big and the area was very well kept. Plenty for them to do. The location was good. We were able to do everything we wanted and even go to Clearwater Beach one day. It was not too far. It was a nice day trip. Disney seemed like it was right around the corner. Thank you Ray and Paula for your attentiveness to our needs and answering all of our questions. You made it very easy. I only wish we could have stayed longer. what a brilliant holiday! House for 4 Mouse is a lovely and very spacious 3 bed condo. Very clean, tv in every bedroom (much to my children's delight). Excellent location being only 4 miles from Disney and around 9 miles from universal. Nice, quiet development with a lovely pool, shop, games room, etc. Thoroughly recommended to all. Excellent experience. Very nice place to stay; can't understand why anyone would stay at a hotel instead. Clean, quiet and convenient. Would definitely stay again. Owners very nice and extremely efficient in the booking process. Thanks! from home. Very comfortably, quiet and clean. The condo was fabulous. It had everything we needed to be our home away from home. Ray and Paula were excellent in giving us advice and ansering all our questions on a very timely basis. I would defintely return to Ray's and Paula's condo on our next visit to Florida. House4themouse is a big, comfortable and clean house. It´s the second time we go there and if we could we would go again. We enjoy our staying there very much. The hot jacuzzi was a great experience for us. Ray and Paula are very helpful people and were pleased to attend us before and during our stay in FL. We are very grateful to them and happy and pleased about our holidays in House4themouse. time in Florida. We'll be back in the future. Thanks! As this is the second time we have rented your beautiful condo from you we have once again really enjoyed our stay and we will look forward to rent from you again. Thanks to Paula and Ray for allowing us to have such a great home away from home..Windsor Palms is the greatest place to be, with the awesome heated pool, theatre, tennis etc. It was very easy to get around with the help of the information booklet provided by our hosts..All in all, a fantastic experience!!! We had a GREAT time at the condo! It is a beautiful place and very kid friendly. Via email, Ray & Paula answered all of our questions so we could have a great time. When visiting FL in the summer, it is a good idea to plan outside activities in the morning or evening and to take a nap during the hot afternoon when the temperature is the highest. The pool is a good place to visit in the evening when the sun has gone down. For some reason, each day around 6 pm, there were very few people in the pool. We had it basically to ourselves. Enjoy your holiday! We so very much needed some "Get-a-way"
There is so much to write about this rental I would be all day.. so I will write the most important information. We were so lucky to have met Ray and Paula in person, they are truly two of the most sweetest people you could meet. They made us feel at home as soon as we arrived. The condo was beautiful, clean, and it felt like a home away from home and we loved it. Actually I miss it. We had a wonderful time at the pool and everyone was very friendly. I have already told so many friends if they are going to see Mickey and Minnie this is the place to stay!!! Thanks Ray and Paula for everything. Hopefully we'll see you again.. It was our first visit to florida and we didnt know what to expect. When we arrivedat the house4mouse we were gobsmacked,it was wonderful. Clean, fresh and very homely.We had a wonderful holiday and we would recommend it to everyone who will listen. Thankyou so much we hope to be back with you soon. We stayed here in April 2010. The condo was really lovely. It was spacious, clean and well presented. The bed was huge!! All bedrooms had lots of space to move and huge wardrobes. We loved sitting outside in our netted seating area when the kids were in bed with our glass of wine. The kids were impressed too. The grass outside was regularly cut and trees trimmed. There was no hastle parking outside. We were also impressed with the communication from Ray&Paula. We managed to get stuck in America because of the Iceland volcano and House4Mouse put us up for an extra week at a VERY reasonable rate. We would definitely book House4Mouse again in the future. Many thanks Ray and Paula. We stayed at the House 4 the Mouse June 15-22 and had a great time. There is plenty of room to spread out, my son loved the PlayStation 2 in the kids' bedroom and the condo is close to Disney. I would totally recommend the House 4 the Mouse to others. We stayed at House4theMouse 3/2010. The things that we really liked about your place was how lovely they kept the outside. The Windsor Palms do keep the landscaping well groomed. Also we just loved how peaceful and quiet it was. We were on the ground floor and we could hardly hear any noise from above. The beds were nice and big and fluffy and got the sleep we needed. We felt very safe walking around and it is a wonderful place to stay. It was so close to Disney and to a lot of restaurants and shops and other attractions. You decorated our place very nicely. A well stocked kitchen as well as plenty of blankets, towels and pillows. And it is very spacious. We also loved the idea of having a safe for our valuables. The clubhouse and pool and the amenities were great. We had time to sight see and time to just sit back on the screened in porch and get some sun. Staying there made our vacation more comfortable to have fun in the sun. Also I wanted to say how wonderful it was dealing with Ray&Paula. They answered all of our questions, which was a lot and they kept up with correspondence with us every step of the way. Great people to deal with especially when you are wanting to have a careful and wondeful vacation. Thanks for the use of your condo. What a great location! We couldn't have asked for a more comfortable stay . This will probably be my home away from home when I'm in the Orlando area for years to come. Excellent, prompt email communications with owners throughout the process. The rental is in a quiet and gated/secure community staffed with helpful and friendly personnel and convenient to attractions. The condo is clean, very well-equipped and comfortable. We would be happy to rent again if the opportunity arises that we are in the area, and would not hesitate to recommend this to others. January 9, 2010 Reviewer: Hummill Family From: Gordonsville, Va.
From beginning to end this home, and the owners, were great! The owners were easy to get along with and the house was clean, comfortable and bug-free (a miracle in Florida!). We had all the comforts of home in House4theMouse and were very happy there. A great value for the cost! Excellent accomodation. We had 4 big teenagers, 2 mothers and a Grandfather in our party and House4the mouse enabled everyone to have their space. 4 tv's Playstation, dvd kept all interests satified on the odd occasion when we had free time. We cooked dinner 3-4 times just to use the wonderful kitchen equipment. Washer/dryer facilities were handy. Clubroom is excellent. If you want sun and relaxation get a taxi to House4themouse and don't move. We were sorry we had booked so many days at the parks and not enough days off. Which reminds me how comfortable the beds are after a hard days walking. Ray and Paula supported us all the way with great advice and welcome pack. Although we did not need it, there was 24 hour support a phonecall away. Windsor Palms is a very secure and friendly community. we felt safer than home. Short cut to Disney is brillant and quiet to drive. We recommend House4the mouse to anyone wanting home from home safe and convenient accomodation. Thank you Ray and Paula for giving us your kindness and care. July 1, 2009 Reviewer: Michelle Seabolt From: Flowery Branch, Ga.
From the time I contacted you until my stay was over it was the greatest of vacations! You both made booking my vacation and my stay worry free and wonderful! My children and myself felt that the accommodations were spectacular! The house was perfect for my family and the closeness to the parks was phenomenal. I would highly recommend House4themouse to anyone! My family and I will definatley be back in the future! June 17, 2009 Reviewer: Don & Rhonda and family From: Warner Robins, Ga.
We stayed in your condo from May 9th to May 19th 2009. We enjoyed the pool, movie theater, hot tub and the spacious, fully equipped accomodations.The location is excellent for the Disney Parks as well as for shopping and eating out. Highly recommended. We had a fantastic two weeks at “House for the Mouse” when we walked in even our teenage kids went Wow! Both the Apartment and Windsor Palms are impressive, spent a couple of afternoons chilling around the pool. The location is great, very convenient for the various Disney Parks and highways to Universal Studio’s etc. Great email communication between ourselves and I would have no hesitation in giving our highest recommendation for your apartment. Your condo was very nicely decorated and comfortable. The location was perfect. I would definitely use it again. Thank you very much. I just returned this week after having spent 5 mights with you and was VERY pleased with the accomdations and convience to everything I needed. I've been spreading the word. We enjoyed our stay during the Holiday 2008 week at the House4theMouse. Perfect location to get to the parks, local restaurants, highways. Accomodated us well, wonderful to have the towels and linens provided and a washer and dryer! Kids had fun at pool and gameroom, convienant to have the small store onsight too. Also, the key access was great, worked well for us. We would definitly return to the condo and highly recommend it. Paula and Ray were easy to communicate with via email. Thank you. Thank you so much, we really enjoyed our vacation at Windsor Palms. We would love to stay at your property again the next time we are in Florida. My family and I have just returned from an excellent vacation in Disney World and House4themouse. Your home in Kissimmee was beautiful, close to all of the parks and restaurants we visited, and above and beyond clean. Ray, you were very helpful, and always e-mailed me back in a timely fashion. We used the Welcome Packet as a guide the whole time we were there. (The short cut to the parks worked out great!) Windsor Palms was nice and peaceful both on the screened in porch after a day at the parks and at the pool. My kids were very impressed with the sundry shop and movie theater! We would definitely recommend your home to anyone visiting Florida and the Disney area and would most definitely stay again in the future! Thanks again! A BIG Thank You Paula and Ray. We have just returned home from our vacation at Windsor Palms. The House4themouse made our stay so much more enjoyable and relaxing, just like a home from home. Your condo was luxurious and was everything you said it would be and much more. The huge pool and clubhouse was a welcomed retreat after a long day at the parks. The Windsor Palms staff were always very pleasant and helpful. We would definitely recommend house4themouse! We LOVED our visit to the House4theMouse! The condo was very clean, spacious and the kitchen well equiped. It was nice to be on the first floor as it seemed we were always on our way in or out! Parking was a breeze and the condo was located close to the clubhouse ( 5min walk). The pool is very large and never seemed to get very crowded during the day. I watched lots of families enjoying the pool and clubhouse during our visit. Thanks to Ray and Paula for all the communication during the booking process and info packet before our arrival. We felt completely at home during our week-long visit and will return again next summer!! Ray and Paula, thanks for making our return visit to House4themouse so painless. Your response to my emails was very timely, and I appreciate all the thought you have put into making the trip so easy. I can't wait to return in 2009. Me and my family loved the house4themouse condo we stayed in on our vacation to orlando. We had a nice time and the condo was very spacious and clean. I will recommend it to anyone planning to go on vacation to orlando and we will be back in contact with Ray and Paula for future visits. This was my family’s first time visiting Florida and I was a little nervous about booking online, but Ray and Paula made it a lot easier. The condo was very spacious, clean and equipped with everything I needed. The condo was a nice place to come back to after those long days at Disney. Thanks again for everything. Your condo was very nice. It was equipped with everything we needed, and more. The beach toys, beach chairs, hair dryers, even a christmas tree stored away really showed you had your customers need in mind. The personal and reassuring communication via the phone and emails made it easier to rent a house over the internet. The condo was very clean, the rooms were comfortable, and the best thing for a family of 6, affordable. Thank you for your kindness and great service. That means a lot to us. I had brought my 86 year old parents to Florida for their first visit and when they arrived at The House for the Mouse they could not believe how big and beautiful it was. They took the King sized bed bedroom and felt like they were being spoiled. Everything was so clean and spacious and inviting. I would definitely recommend this home to anyone visiting Florida and we will definitely stay there again the next time we go. Our stay was great. We had room for everything and enjoyed it so much. We'll recommend to friends and book again for next year. Both the king and queen bedrooms and baths were so spacious. Our son Patrick was married in the Morocco Pavilion in Epcot Center in February, 2008.
house4themouse was the perfect home away from home! The house is so large, you wouldn't believe we had 8 people staying there. Ray and Paula were always very prompt in answering any questions we had. In fact, when I had first written for information about house4themouse, I told my husband how nice it was that Ray had called me from Florida to let me know that house4themouse was available. It turns out he had called me from all the way from England! If we visit Florida again, house4themouse is the place for us! Our second stay at the House4themouse was as good as the first. The condo is clean and welcoming and has everything you need during your stay - everything is thought of. The information pack is great and the short cut to Disney so helpful. Ray & Paula are great hosts and we look forward to returning on our next visit to Orlando. David & Barbara Wilson, Elstree. UK. Stayed in November 2007 for two weeks. The first thing you notice is the nice smell of the rooms when you enter. Everything was at hand and help was only a phone call away. Would recommend to any one young or old very secure and clean resort. Staying in a condo vs. a hotel is ALWAYS more comfortable and cost effective....we have been doing it for years at Windsor Palms.... but this was our first time staying at this condo and the service Ray and Paula give their customers is outstanding!!!! Their home is your home. Thank you for all your help and making our 07 Christmas even more wonderful! We very much enjoyed our stay at the Windsor Palms and will definitely use it for future trips to the Orlando area. Owners were extremely quick to respond to any questions and the information pack was very helpful. The directions were great, allowing us to find the condo in the dark. We are recommending this condo to all of our friends visiting the area. Sending you a thank you was certainly on my list of things to do this week! We had a wonderful time. The condo was absolutely perfect. Everything worked great & was nice and clean. I will go on and leave our feedback for your future potential guests. Above all I have appreciated your approach in meeting your customer needs. Thank you & we'll be sure to check your availability on our next visit to Florida. We thoroughly enjoyed our stay at House 4 the Mouse and would recommend it highly to anyone vacationing in the Orlando area. The condo was spacious, very clean, and well stocked with everything we needed. It is a great place for families - very safe and secure. We have a toddler and the pack n play was just perfect along with the stuffed animals in the Winnie the Pooh room. Thanks so much for making our vacation so great! We would definitely stay at House 4 the Mouse again. My family and I want to express our gratitude for the use of your lovely home. We had such a nice, relaxing time in Orlando. As with all vacations, it was over too soon. The weather cooperated, the parks (we did Universal and SeaWorld) were amazing, Windsor Palms was a gem...we couldn't have asked for more. Thanks again for all the last minute scheduling. I plan to leave a comment on your homepage as soon as I get unpacked. lol. I promise to email all my friends about House4themouse and let them know about how convenient and easy it is to rent from you guys. My girls are already wanting to plan our next Disney vacation (me, too). What a lovely place to stay in. Such big rooms and the bed is the biggest bed I have ever seen or been in!! Great location for the parks, no need to get up mega early to get there as only 10mins away. Nice and clean, the kids loved the pool. Would recommend to anyone. We enjoyed our stay at Windsor Palms Resort in Orlando. The condo was everything you said it would be. We want to thank you for making our summer vacation enjoyable and easy. If we had more vacation time we could have stayed longer. I would encourage anyone looking for a summer getaway to book through House4theMouse. The price range was very affordable and the condo was within driving distance of the parks. I must admit I was worried about booking with someone over the internet and also over seas but my worries were put to rest once we arrived. Thanks again for everything and we will visit again next summer. THANK YOU FOR THE HOUSE4AMOUSE ACCOMODATIONS. A VERY GOOD PLACE TO STAY WITH LOTS OF ROOM. THE GRANDKIDS LOVED IT AND SO DID WE. CLOSE TO DISNEY AND EVERYTHING ELSE. RAY AND PAULA ARE THE BEST TO RESPOND RIGHT AWAY. THEY ARE NEVER FARTHER THAN THE COMPUTER OR TELEPHONE. WISH EVERYONE HAD THAT GREAT FOLLOW THRU!AGAIN THANK YOU AND WE WILL DEFINITELY RECOMMEND THE HOUSE4AMOUSE TO ANYONE WE KNOW THAT IS COMING TO ORLANDO OR DISNEY. Went to Orlando on business but the House4themouse made the stay a vacation. The house is immaculate and well appointed. The location is perfect for a visit to the Disney complex. The transaction went off without a hitch. Next trip to Orlando I hope the House4themouse is available! Had a great holiday in Florida which was made even more enjoyable having stayed at your home from home. What a fantastic place you have there. You really have thought of everything, we didn't need a thing. We will definitely recommend your place to anyone else going to Florida. The information you gave us was invaluable especially the quick route to Disney!!!! We couldn't have wanted for more on a holiday, which was so much better than staying in a hotel. Thanks for the opportunity of staying there. You really have thought of everything, we didn't need a thing. (thanks for the wine and biscuits). We very much enjoyed our stay in your condo. It was very spacious and comfortable for our family. The condo grounds, pool, playground, club house area were all very nice. We will definitely plan on staying the next time we go to orlando. We recently stayed at the house4themouse. I was everything they said it was. 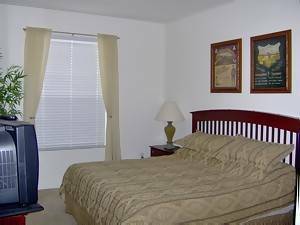 Very roomy, close to Disney, games for the kids, heated pool. It had everything we needed. A very good time was had by everyone. We definitely would stay there the next time we return to Florida. 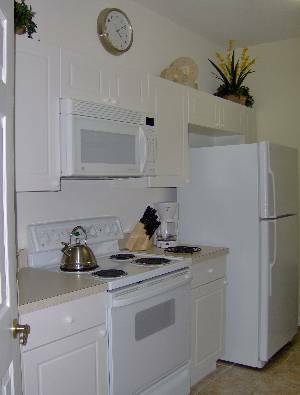 I recently stayed at the house for the mouse in late March/07 and was very impressed with the condo facilities. Everything required was supplied. Very roomy for a family of six. The Windsor Palms resort is a first class resort for sure. Conveniently located to the Disney property for anyone doing the Disney thing. I do wish they would turn the heat down a little bit in the pool. As for Ray and Paula, I don't think you could get better service over the internet from anyone owning a property. We had a wonderful stay at your house! The bedrooms and bathrooms are large, and there is more than enough room to lounge in the living room. My daughter loved the Winnie the Pooh theme in her room. We used the "shortcut" to Disney each day and our commute was quick. Ray and Paula are so kind and helpful. They are quick to respond to e-mails and full of great information. We would highly recommend staying at the House 4 the Mouse! We absolutely LOVED staying in your Florida home. Everything was fabulous, comfortable and homey with everything we could need already there; I did NOT want to head home. The resort was wonderful, everything was so conveniently close! Thank you for sharing it with us. I would definitely recommend yours as THE place to stay! March 4, 2007 Reviewer: DOUG LOCKREM From: NEKOOSA, WI. We recently returned from a magical trip to Walt Disney World. It was the first trip for our two girls, ages 3 and 5 years. We loved every minute of it. The House4theMouse had all of the comforts of home. 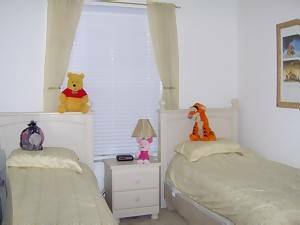 It was nice to have a kitchen and a washer and dryer and our kids loved the room with the Disney stuffed animals. The other nice thing is that your complex is close to a supermarket and many restaurants. We loved it! We have already reccommended your home to close friends of ours. Thanks for making our trip even more enjoyable!!! My experience at the House4themouse was excellent. The location is perfect if you are planning to visit the parks or just relax in the Florida sun. I made my travel plans about a month before the trip, Ray & Paula were outstanding in making sure I received the information package as quickly as possible. I just stayed one week so I couldn't enjoy the condo and community as much as I would have liked; however, I am definitely going to plan a longer vacation next time and the House4themouse will be my choice. Thanks Ray & Paula! Just wanted to let you know that we had a great time at the House4themouse. Everything was just perfect, and it was so close to Disney. We will definitely be staying there again, and recommending your place to our family and friends. Thank you again for everything, we really did appreciate all your tips and the packet of information. You were both extremely helpful, and helped make our vacation perfect. The following comment was sent to us by Michele..
We would like to let you know that you have a beautiful condo. The accommodations were perfect for our family of 5. We had a wonderful time while there and hope to return in the (near)future. We have already told many friends and family about your wonderful accommodations for their future visits to the Orlando area. We just returned from our stay at House4theMouse. The Condo was perfect for our family of 4. My son enjoyed having a Playstation in his room. Both kids loved the pool, game room, and movie theater on site. The condo was clean, nicely decorated, and close to many things. Ray was very helpful with directions to Wide World of Sports where we were everyday for basketball games. We had no problems at all and would definitely stay at House4theMouse again. We just wanted to say we really enjoyed our stay at your condo. The Condo was everything the Web Page said it would be. 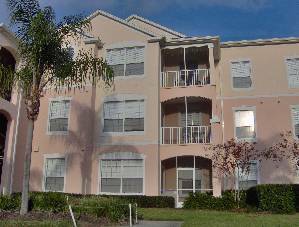 The Condo was in a great location, very close to Disney World, Restaurants and I-4. Your directions and helpful hints about the area were greatly appreciated. We had no trouble getting to the Condo from the airport. The Condo is in a good neighborhood and it has security staff present 24 hours. On any future visits to the area, we plan to stay at this Condo if it is available! Thanks Ray and Paula for making our vacation so enjoyable!! 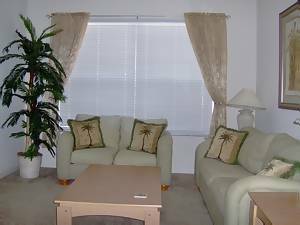 This was our first trip to Florida and although I hate flying, on arrival at the Condo with all the comforts you offer we decided it was all worth it. We found it very quiet and relaxing after some busy days at the parks and the shopping outlets. The Windsor Palms resort offered all we needed ie somewhere to have a relaxing swim late afternoon and the hot tub to help relieve our our aching bones. The shop was very handy for basic needs and the internet centre was great for keeping up with news from family and friends. When we return to Florida we will not be looking any further than the house4themouse. We had a wonderful time at the the House4themouse. I recommended it to family and friends. My youngest did not want to go home. I am hoping that we can take another trip there in August when my husband returns from Iraq. He would enjoy it and it would be a wonderful place for him to relax. Your house was beautiful and very accommodating. My sister did a great job picking your house out for us. Thank you again and I hope that you will have an opening for us in August. Your condo at Windsor Palms was EVERYTHING advertised. My family of 5 enjoyed the stay there during our recent trip to Disney World. You handled the trip arrangements very professionally and assisted us in all aspects of our stay. We will look to stay here again next trip. Very nice place, very nice location. My family and I just returned from a most perfect vacation. We absolutely loved the house4themouse. It was even better than we hoped. The condo was great, the pool was awesome and the community was exceptionally nice. We really look forward to returning in the future. Although originally hesitant to send a check to the UK, my experience with Ray & Paula and their condo was nearly PERFECT! 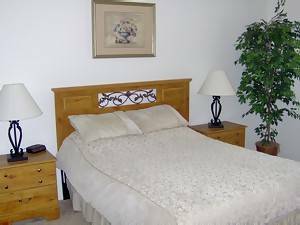 Windsor Palms staff was courteous, Hospitality House Management was there when needed and the condo built in late 2001 is in wonderful condition. The decor and furnishings exceeded our expectations. The location is about 4 miles from Disney and 12 miles from Seaworld and International Drive. There is a grocery store and restaurants less than a mile away. Our kids loved the pool area at the clubhouse (it was heated) and the business center offered inexpensive internet access for those of us who like to stay in touch! In short, you will be hard pressed to find a better value and location in a 3 bedroom condo than this! *** Book Now For Any Remaining Dates In 2007 - Just $560 Per Week Inclusive *** 2008 Prices also from $560 per week. Please enquire for our latest rates and availability, with a phone number, for a rapid response. Deals available for longer stays and returning guests. All rates are inclusive of state taxes. Bookings of any duration accepted, but stays of less than 7 consecutive nights will incur an additional fee of $75 for cleaning. Special offers available, subject to season and availability. Deposit: $120 per week will secure your booking, with the balance payable eight weeks prior to your arrival. With payment of final balance, we will also take a returnable $200 security deposit. this will be returned, upon your departure, and once our management company have confirmed the property has been left in good order. Cancellations and Refunds: You may cancel a booking at any time, in writing to us subject to the following cancellation charges:- 56 or more days prior to departure - loss of deposit. 29 to 55 days prior to departure - 50% of total cost. Within 28 days of date of departure - 100% of total cost. We reserve the right to cancel the booking, if paymemt has not been received on the agreed dates. We strongly suggest that you purchase vacation insurance.